It's adorable! I rarely visit SCS anymore and used to be on there daily. Enjoy your Monday! AWWW Kerri this is ADORABLE!!!! LOVE the colors and that super cute layout!!! Fab CASE creation sweetie! I like the papers and the bright colours! 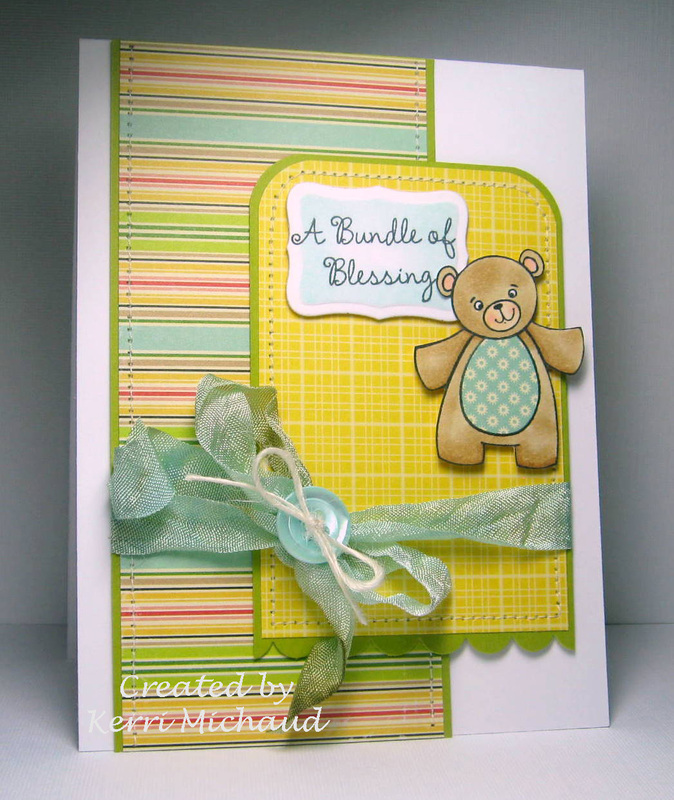 This is an awesome baby card!!! I love the colors. And that paper pack just keeps calling my name louder and louder! LOL! Mmmm seam binding...what a great touch on a bebe card. 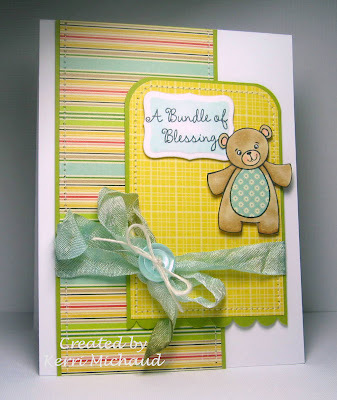 Love the paperpieced bear too - cute! Very cute card! I love the sewing, the papers, and adorable layout! Love how you paper pieced the tummy too - adorable!